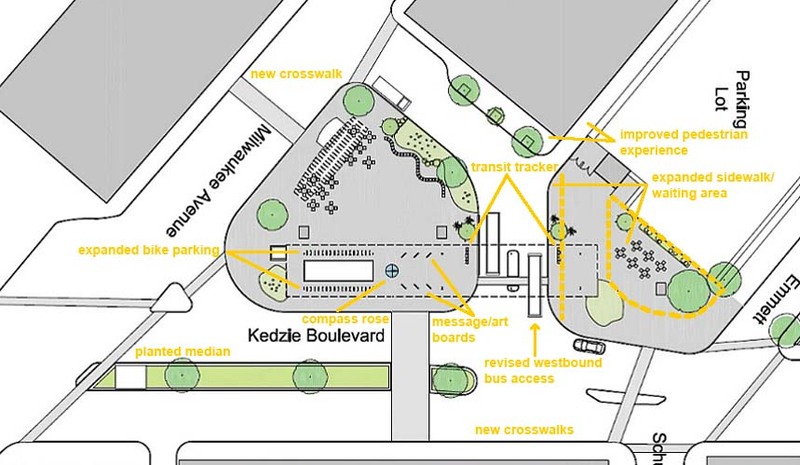 The other concept the BikeWalk Logan Square committee is exploring for the Logan Square “el” station “plaza” (see also Park concept for Logan Square “el” station and Let’s put the Logan Square “el” station “plaza” out of its misery) is a much enhanced plaza. On Thursday, August 25, the BikeWalk Logan Square committee, of which I’m a part, presented its ideas for improving the main Logan Square “el” station and enhancing how the station accommodates pedestrians, cyclists and transit riders. 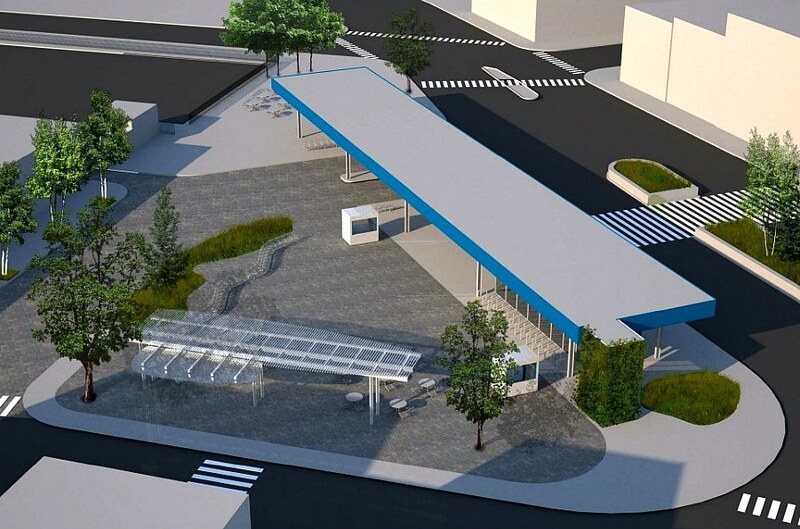 This post explains some similar and some different ideas as those discussed at Improving multi-modal access and experience at the Logan Square transportation hub. 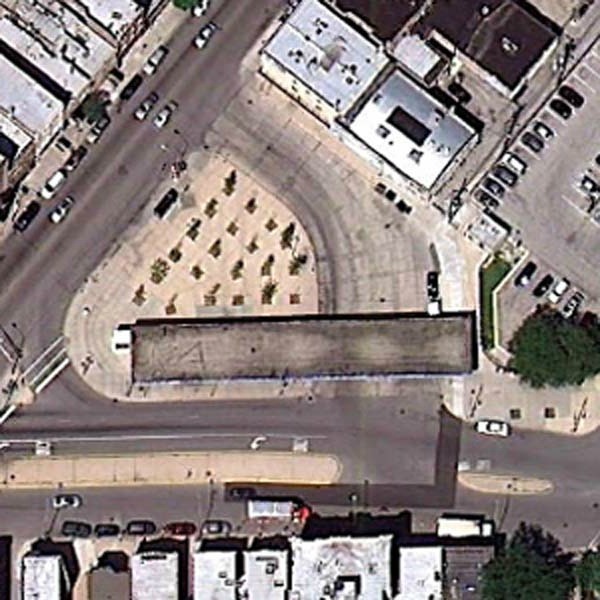 Starting with the bottom of the concept image below (click on image to enlarge; north is to the right), this scenario also envisions a planted median on Kedzie Avenue and new mid-block crosswalks that connect the east sidewalk on Kedzie Avenue with the transportation hub. 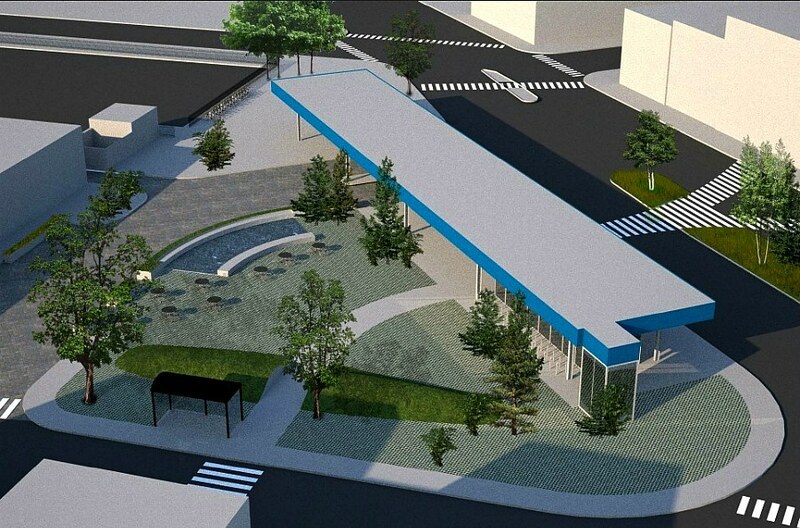 One of the concepts the BikeWalk Logan Square group is exploring for the Logan Square “el” station “plaza” (see also Let’s put the Logan Square “el” station “plaza” out of its misery) is a park-like destination. Last Thursday, August 25, the BikeWalk Logan Square committee, of which I’m a part, presented its ideas for improving the main Logan Square “el” station and enhancing how the station accommodates pedestrians, cyclists and transit riders. There is much to improve (see aerial photo below). While there have been some aesthetic improvements in just the past few weeks, we envision many more improvements to address the variety of problems and opportunities that we have recognized. 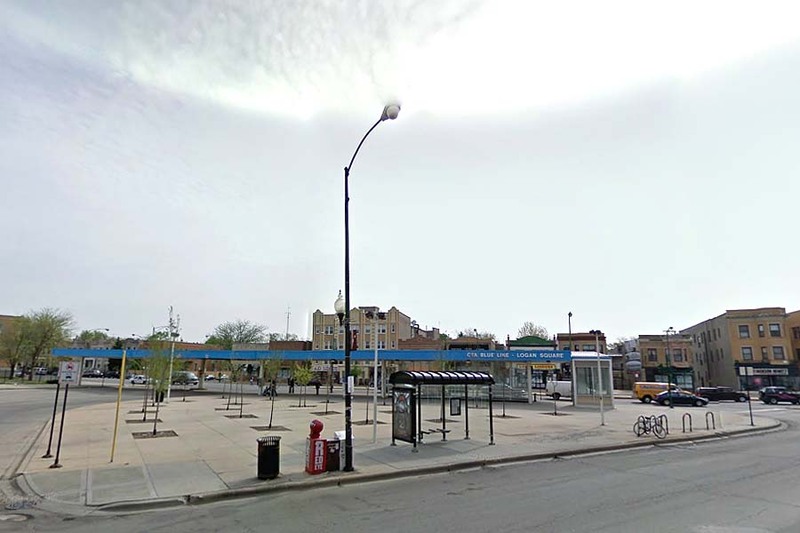 There will be a public meeting to discuss plans to improve the Logan Square “el” station plaza and surroundings on Thursday, August 25, from 6:30 to 8:00 p.m. at St. Sylvester’s gymnasium, 2157 N. Humboldt Boulevard. I’ve been part of a group, BikeWalk Logan Square [update: f.k.a. 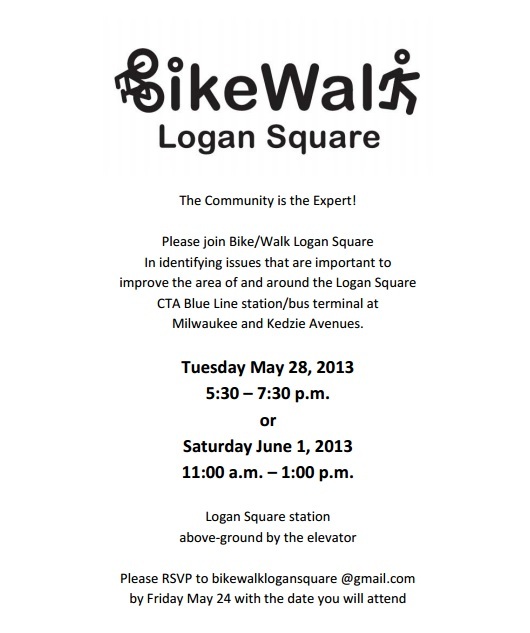 Bike/Walk 35], that has been discussing biking and walking issues in the neighborhood, and there are many. Because there are so many, we decided to hone in on a specific project: improving the multi-modal Logan Square transportation station and access to it.